Jonathan R. Mencel, Attorney at McSweeney/Langevin represents clients in pharmaceutical and medical device litigation. The vast majority of Jon’s litigation is done through national mass tort consolidations in both federal and state courts. After graduating from the University of Wisconsin-Superior in Superior, WI with a bachelor of science degree in Legal Studies and Political Science, he obtained his Juris Doctor and Certificate in Dispute Resolution from Hamline University School of Law. Since graduating law school, Jon has been dedicated to representing those seriously injured by pharmaceuticals and medical devices. Jon joined McSweeney/Langevin in 2017. 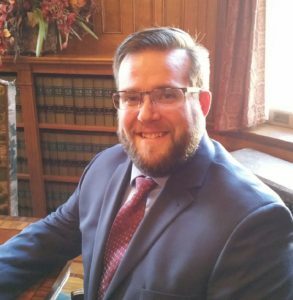 Prior to joining McSweeney/Langevin, Jon worked as an attorney in another mass tort firm located outside Minneapolis, MN. He has been named a Rising Star by Minnesota Super Lawyers in 2018 and 2019. Jon enjoys spending time with his family, his friends, and serving in his local church congregation. He also enjoys golf, fishing, outdoor activities, and to travel.